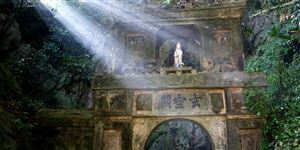 The 4-day trip will give you anunforgettable experience with interesting tourist sites in the central area of Vietnam. This trip route encompasses no less than three UNESCO-designated World Heritage Sitesand unforgetable wonderful destinations:The sixteenth century silk route trading port of Hoi An; My Son Valley, the sacred remains of the ancient Cham civilization, and the intact ancient imperial city of Hue; theblooming Danang city, recognized in 2016 by Smart Travel Asia as the most attractive festival destination of Asia and the world’s top 10 destinations of relaxation. 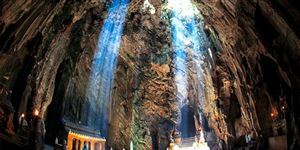 The area is also rich in natural history and culture and as such has tremendous long-term potential for the development of road tourism throughout the Indochina region. Join us for a lifetime experience. Warmly welcome at Da Nang airport after you take a flight. Have lunch in a local sea food restaurant on one of the top 7 beautiful beaches in the world and then start to enjoy sightseeing of the beauty of East Vietnam Seabefore heading to the ancient town of Hoi An. Check in hotel. Discover the historic town which used to be a prosperous seaport city during the 16th to 18th centuries. Hoi An is known as an UNESCO World Heritage Site since 1999.Its sizeable community of foreign merchants resulted in a unique architectural style with Vietnamese, Chinese and Japanese influences. Walking tour in alive mosoleum of Hoi An to visitChinese Assembly Hall & Temples, Old houses & Japanese Covered Pagoda Bridge, Old house of Tan Ki (Or Phung Hung); Fukian Assembly Hall; Sahuynh Cultural Museum (or Museum of Folk Cultures).., an unforgetable memory,will lure you into the life of seventeen century in reality. After dinnner at local restaurant, free at leisure and over night in Hoi An. · After Breakfast and Check out. Beginning the day with an excursion to My Son, Vietnam’s most evocative Cham site recently recognized by UNESCO as a World Heritage site. · Have lunch with famous specialties in local restaurant. · Then visitCamthanh village, a fisherman at Cam Thanh water coconut village Tour you will enjoy experiences from learning traditional fishing techniques and how to row unique Vietnamesebamboo basket boat, fishing and catch the crabs, coconut mussel while exploring the now tranquil coconut-palm flanked waterways of a past war. Leaving Hoi An for Hue Imperial City, through Hai Van tunnel, en route, stop-over for photos at the top of Cloud - Ocean pass, overlooking the scenic Lang Co fishing village. Have dinner in a local restaurant. Check in hotel . Overnight in Hue. 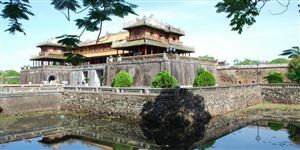 Breakfast and checkout, visit the intact Imperial Citadel - The grand palace of the last dynasty of Nguyen - a vast complex built in the early 19th century under the Nguyen Dynasty which was the last feudal regime in Vietnam during 1802 – 1945. Shopping at Dong Ba market, we take a short time for local market, great fun here. Afternoonvisit the beautiful Pagoda of Thien Mu with its impressive “Heavenly Lady” seven-story tower, one of the oldest ancient architectural structures for religious worship in Hue. Then leave the UNESCO-designated World Heritage Hue to return to Da Nang city. Dinner at a local restaurant. 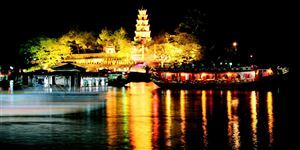 Free to explore Danang at night.